How to Make Correct Decision? 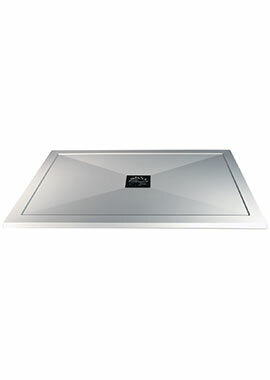 Rectangular and the most common type of shower trays found in enclosures. Perfect for carving out the rectangular enclosure or cubicle of your choice, these trays offer a solid base upon which the enclosure is built. Usually constructed from a sturdy material such as stone resin, ceramic, acrylic and steel, these will last you as long as the enclosure and longer. We showcase an extensive range of rectangular trays from the best-known brands at our web store. 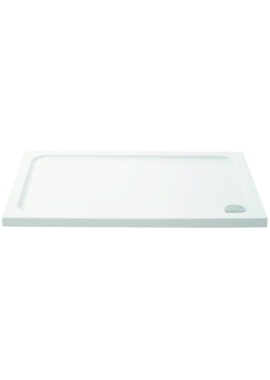 These trays give your shower enclosure a minimal outlook and are ideal for modern bathroom spaces. Our Expert staff will be able to inform you of the benefits and drawbacks of each model. By appreciating your unique needs, we will advise you on the best options to select for your dream enclosure. You’ll need to take into account the layout of your bathroom, the size of your shower enclosure, and your preferred aesthetics, as well as your available budget. We stock a wide range of shower trays, and we’re more than happy to help you find one that ticks all your boxes. If you have any questions at all, you shouldn’t hesitate to ask: we can guide you through all the options. With more than 30 years’ experience in the bathroom business, we know what it takes to build the perfect shower.